Forget the 30-roll package of toilet paper: The best bargain at Costco might be its private label of wines. Sommelier Owen Bargreen tasted his way through two dozen bottles to find the gems. For all the love that shoppers give to the obvious bargains at Costco — the $1.50 hot dog-and-soda combo, the $4.99 rotisserie chicken — there’s a deal at the shoppers’ warehouse that’s less well-known: Costco’s private-label line of wines. Costco boasts more than two dozen wines under its Kirkland label, and they hail from some of the most prestigious wine-growing regions in America, including Napa and the Willamette Valley. As the nation’s largest wine retailer, Costco prides itself on not marking up any of its wines by more than 15 percent. Add in their surprising quality, and the Kirkland reds and whites are arguably some of the best wine deals in the country. Several bartenders and restaurateurs over the years have told me that the Kirkland wines are some of the best-kept secrets in the state. I recently did a blind tasting comparing Kirkland’s $19.99 Signature Brut Champagne to a handful of others in the $50-$60 range. The Kirkland Signature was just as good, if not better, than others that cost at least twice as much. Were there more gems stashed near the crates of croissants and the 30-roll packages of toilet paper? We had to know. 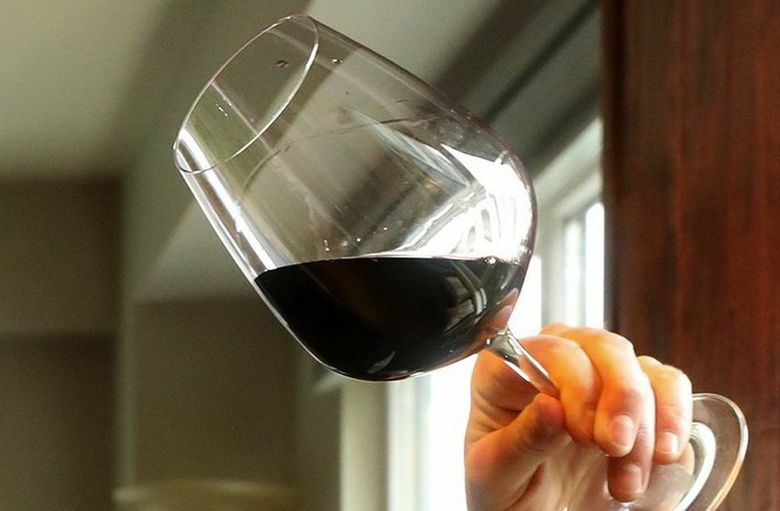 We reached out to Owen Bargreen, a certified Level Two sommelier from Seattle, who had sampled two dozen Kirkland reds and whites in October. He has the best palate of any wine connoisseur in Seattle I’ve come across. Our question for him was simple: Which cases of Kirkland vino are truly worth seeking out during a Costco trip, in between eating free samples of jalapeño-cheese sausage? To be clear, we weren’t looking for a reboot of “Two Buck Chuck,” that Trader Joe’s plonk of years’ ago fame that was as offensive as it was cheap. We wanted whites we’d actually offer to house guests and reds we’d pair with a steak au poivre. Bargreen’s first tip: When consumers think of Costco wines, they often look for the $6.99 bottles. But Bargreen advises bargain hunters to reach deeper into their pocketbooks to buy Kirkland bottles in the $15-$19 range; international reds and whites are the real gems, he said. 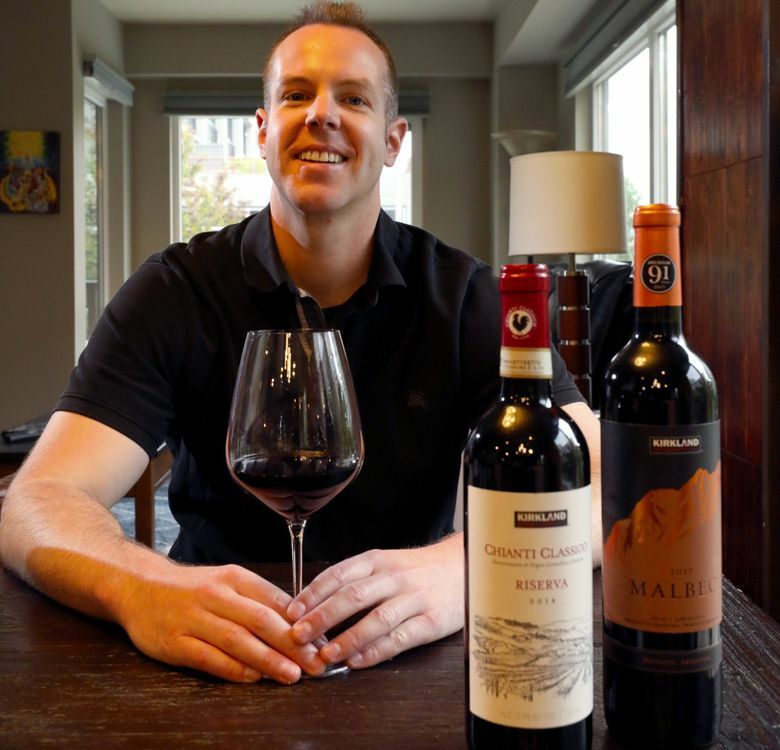 Below are Bargreen’s top five Kirkland wine picks, including how he rated the wine on a 100-point scale and tasting notes that he wrote up on his Washington Wine blog. Bargreen’s tasting note: “I am very impressed with this great new release that shows some outrageously good value. This 100 percent tempranillo wine begins with toasty oak on the nose with prune and roasted dates. The minerality is really nice as the wine shows a good tension and sense of place. Black fruits and a touch of chocolate dominate the palate. This is a beautiful wine.” Ready to drink between 2018 and 2028. “Most Chateauneuf-du-Pape are $30 to $40 minimum,” Bargreen said. OK, you’re a cheapskate. But if you still refuse to pay more than $7 for a wine at Costco, you’re in luck: This $6.99 New Zealand white made Bargreen’s cut. This is the only local wine to make Bargreen’s top five. You can also check out Bargreen’s complete ranking of Costco wines at his blog washingtonwineblog.com.